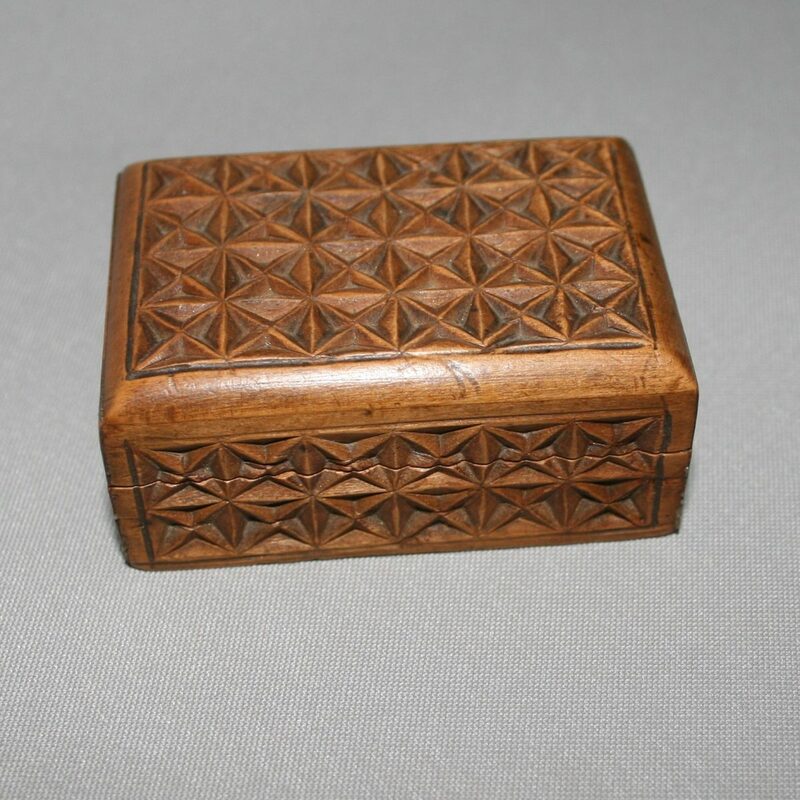 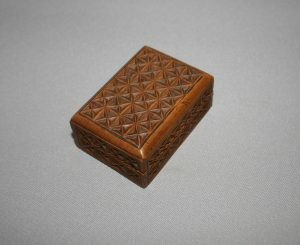 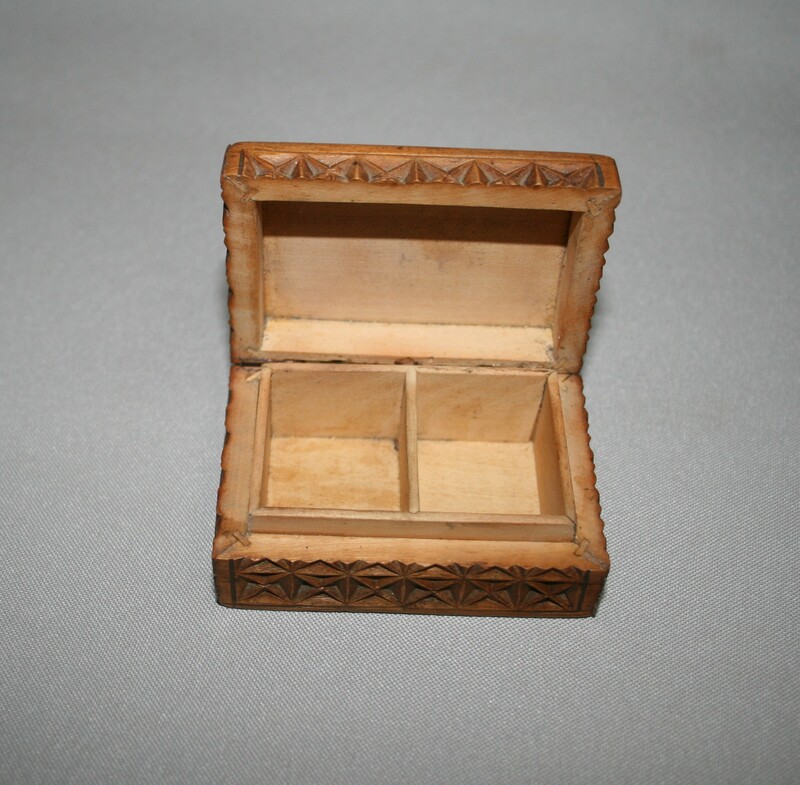 A Victorian sycamore carved stamp box. 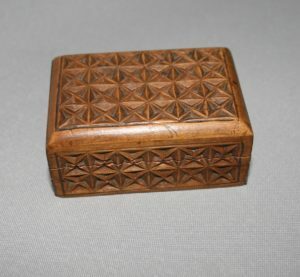 The sides and top are all carved with a cross pattern. 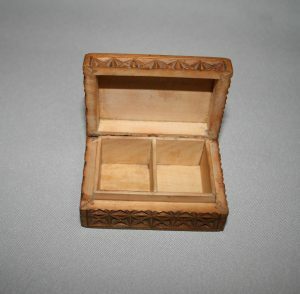 The inside has a divider to put stamps on both sides of the box.